Today is one of those days I don’t feel like cooking and I’m not to keen on eating leftovers that look like leftovers. I opened up the fridge and it struck me, why not make a casserole with all this food. The only problem being is I still had to make a soup for the casserole. Not really a problem. I have the boxed soup for emergencies just like this. So into one pot went all the ingredients, I made a slurry and thickened the soup, poured it over rice, baked it and supper was done. Problem solved. Oh, one other tip. 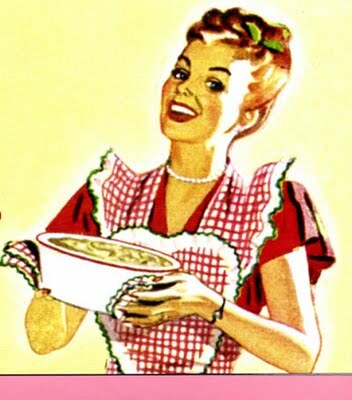 If you have any of the soup mixture left, serve it on another day as another meal, as soup. 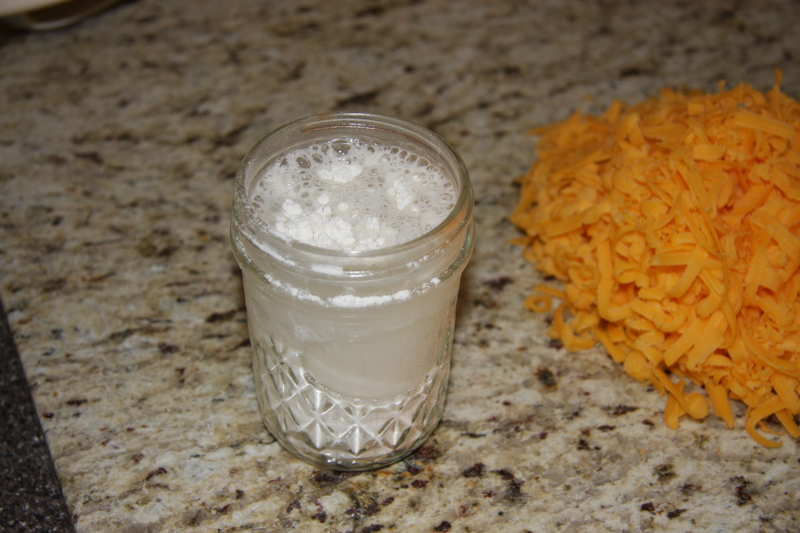 Add noodles or even crackers and if you find it too thick, just add a little water to thin it out. 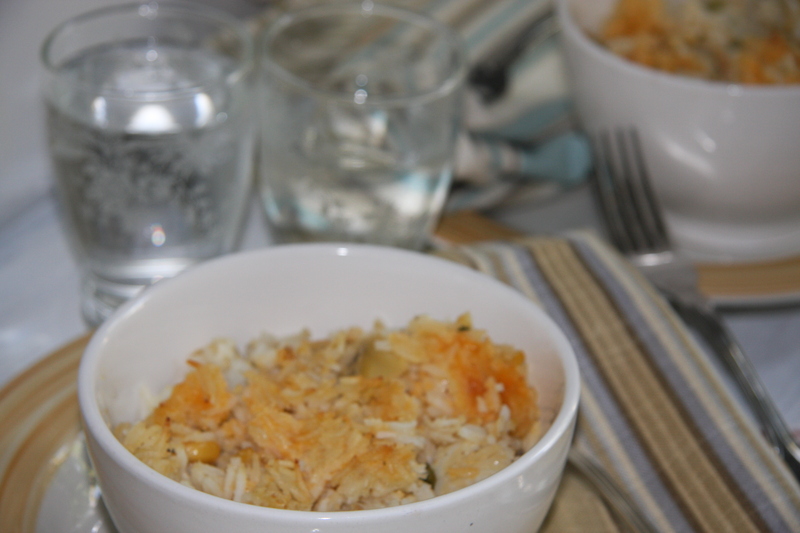 This recipe stretches to accommodate more then one meal. A lot of people would call this a one pot meal but it is really two. If you happen to have a leftover soup or chowder, that is in one pot. 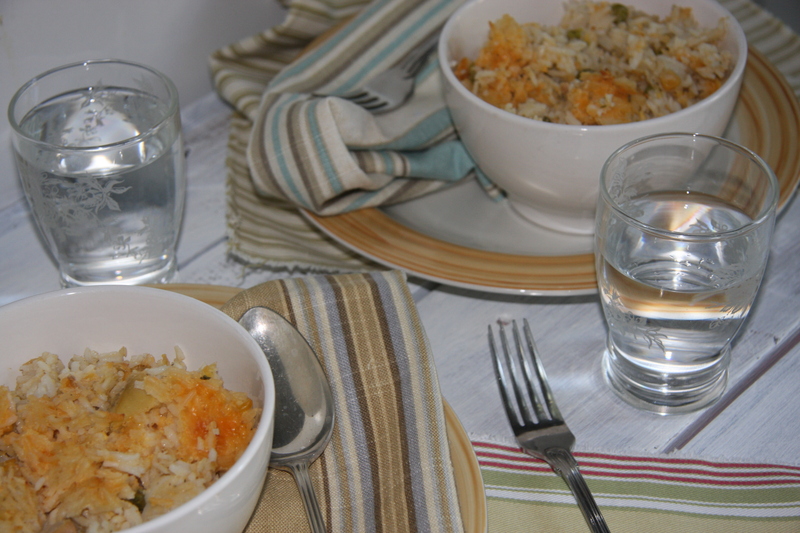 Now to make this meal you need a pan to bake all the leftovers and rice in the oven. So I call that a two pot meal. Give it a try for something quick. Pretty good. 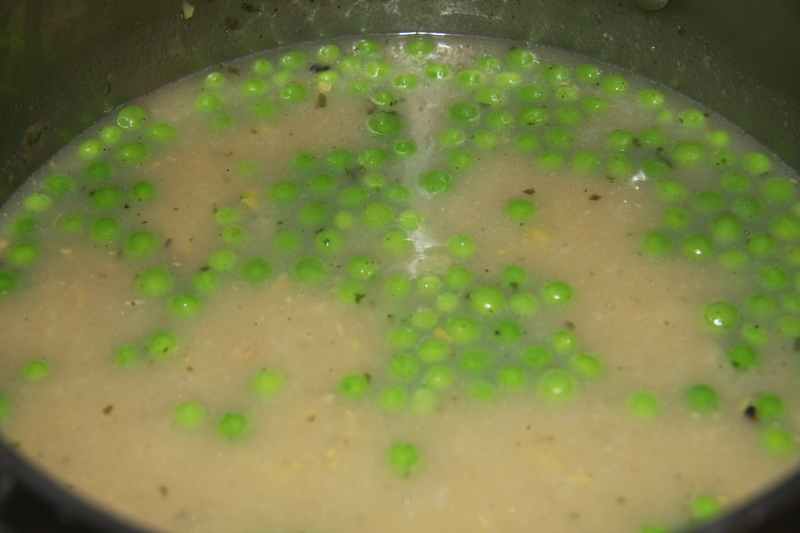 And 1/2 – 1 cup of peas. Along with 1 teaspoon paprika, 1 teaspoon granulated garlic, 1 teaspoon dried parsley and salt and pepper to taste. Simmer for 40-45 minutes. Cook 2 cups of rice according to directions. 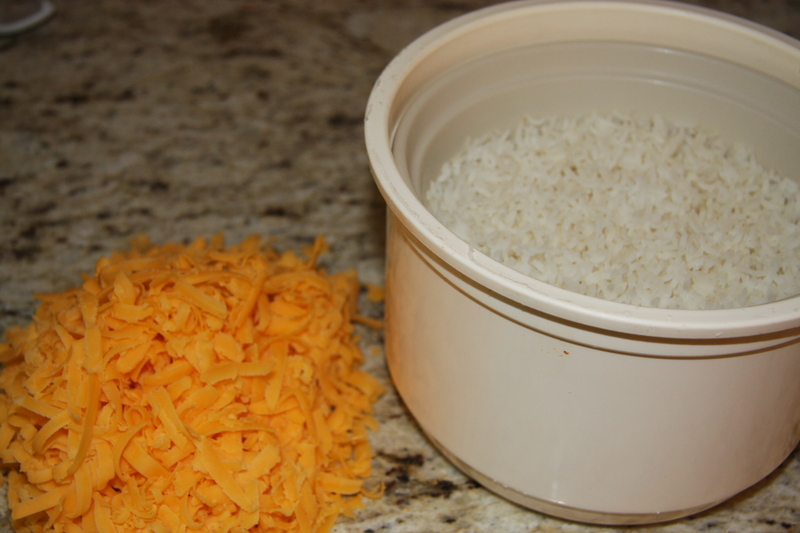 Shred 2 cups of cheddar cheese. Set aside. Into a glass jar add 1/2 cup of flour and 1/2 cup of water. Shake until well dissolved and blended together. 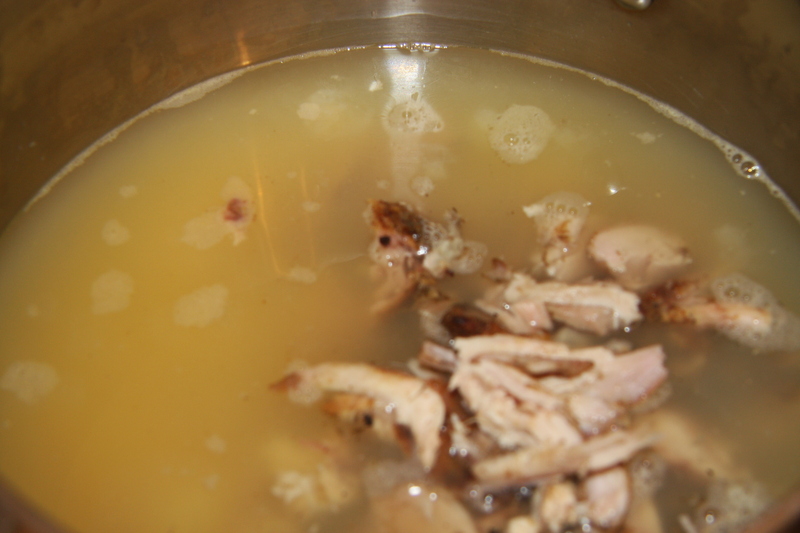 When soup is cooked add to the pot and constantly stirring cook until soup starts to thicken. Like making gravy. 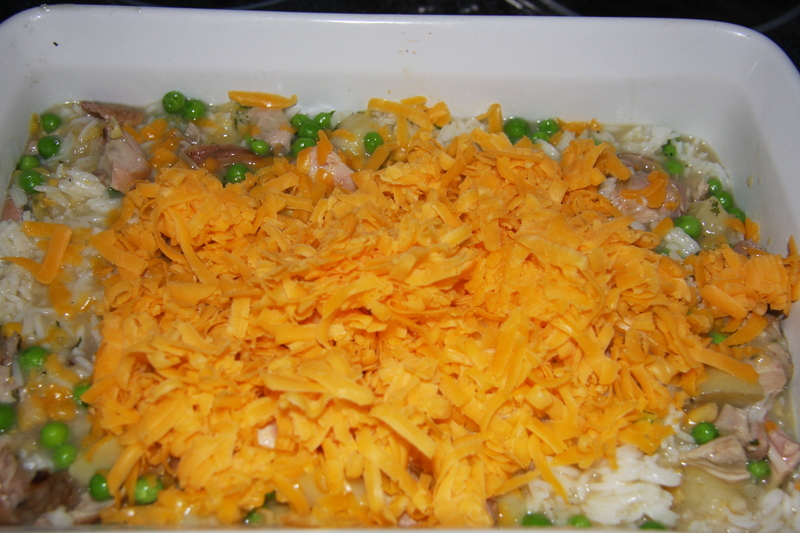 Next place rice into a casserole dish and add as much of the soup mixture you would like. 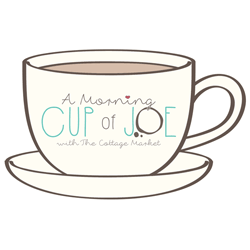 Usually about 4 cups. More if you like it wetter. Mix well. Mix well and bake at 350 degrees for 40-45 minutes. If all the ingredients are hot when mixed together then you could probably bake for 30 minutes. Just taste it and see. It should be nice and hot throughout and have a beautiful golden colour on top. All you have to do now is sit down and eat. Empty box of broth into a pot. 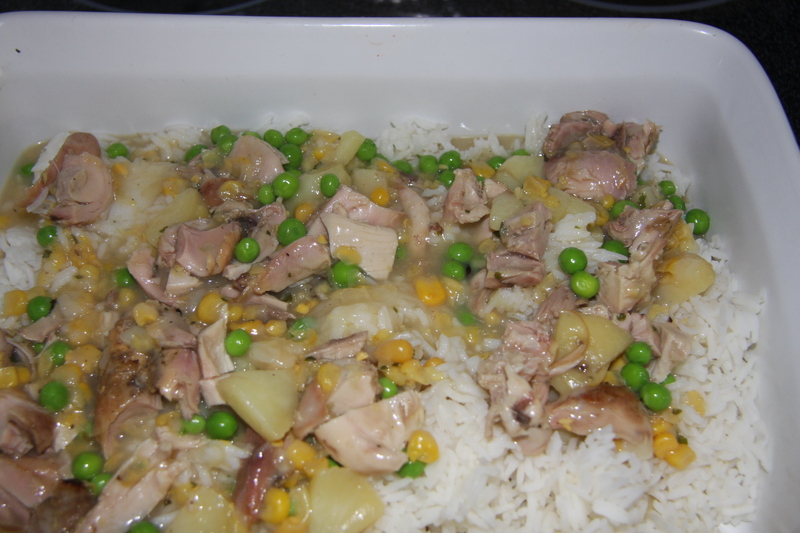 Into this add chicken, potato, peas, creamed corn, parsley, paprika, garlic and salt and pepper. Bring to a boil, reduce heat and simmer for 30-40 minutes. Into a jar add the flour and water. Shake real well then add the slurry to the soup mixture. Stir and cook until thickened. 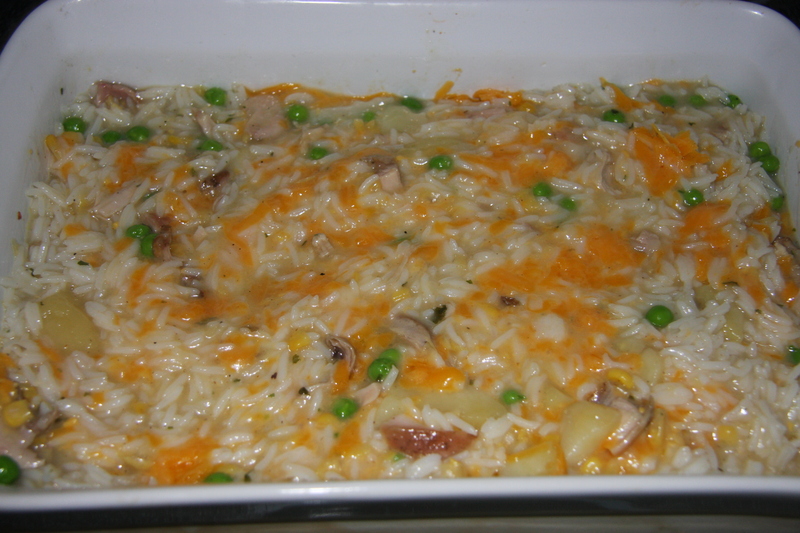 Remove from heat and into a oven proof pan add the rice, thickened soup. Mix well then add the cheese. Bake at 350 degrees for 30-40 minutes. 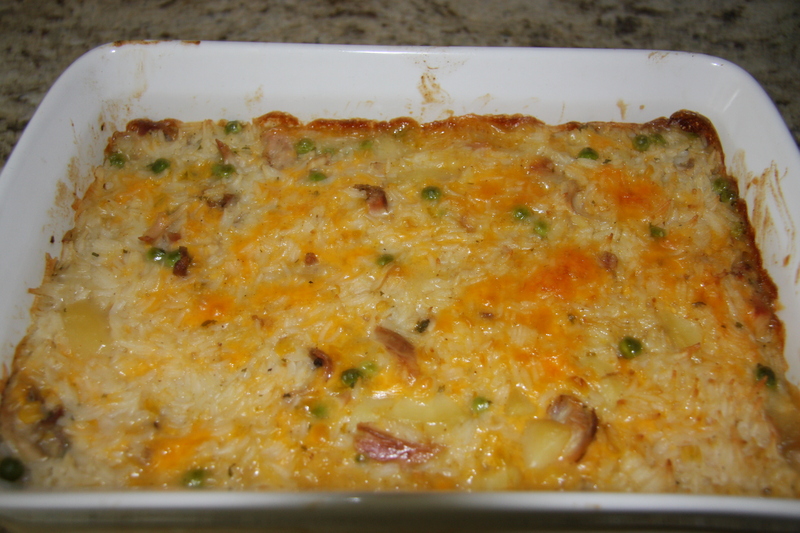 The casserole should be heated throughout and piping hot.